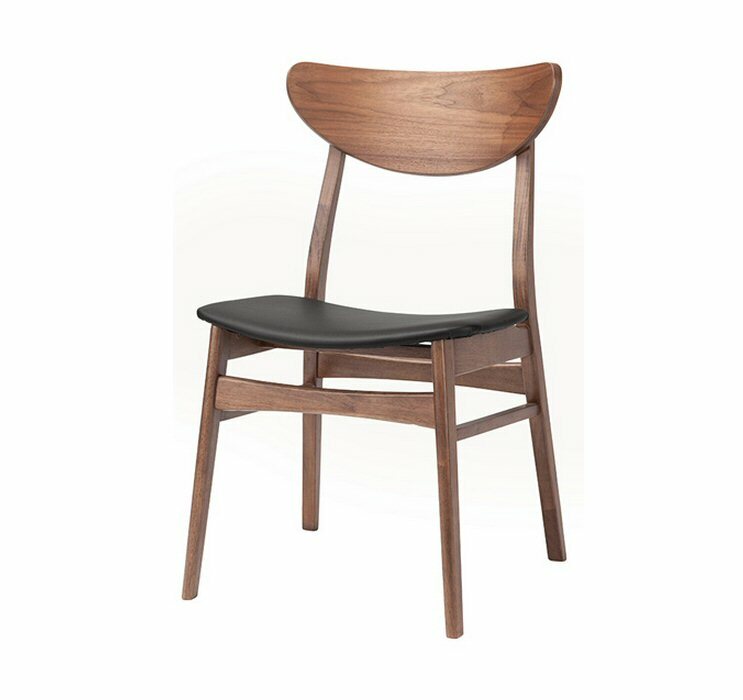 Nuevo Living Colby dining chair finds its roots in Scandinavia, the birthplace of midcentury design. Gentle lines, supple curves and a smart, fitted black naugahyde seat cushion lends an air of sophisticated understatement to the finely crafted solid hard wood frame. 18.5"w x 24"d x 31.25"h, seat height: 18"